What was your inspiration for the Lux series? It's kind of an interesting story. I turned in one of my adult novels into my editor who asked me if I'd be interested in writing about aliens in high school. Initially, I laughed and said no. Aliens in high school? What could I do with aliens in high school? But the more I thought about it, the Katy and Daemon surfaced in my head and then the Luxens did. I wrote a couple of chapters and the editor loved it. 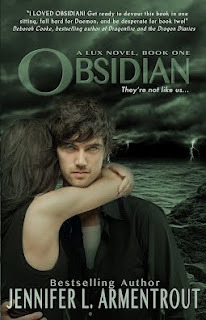 Obsidian was a book that almost didn't happen. How would you describe Daemon? He's a jerk. Daemon does have a softer side, but he's kind of what you see is what you get. So when he's being a douche canoe, it's because he's a douche canoe. Though, he is rather selfless. That's something a lot of people might not realize yet. No hot aliens living next to me, but Katy is kind of a mixture of the book bloggers that I know. What sort of research did you have to do for Obsidian and Onyx? A lot of research on gemstones. Obsidian and Onyx actually do impact light, so I think I have an official Google degree in gemmology now. What made you choose West Virginia? I live there... and no one writes about West Virginia. A lot of time when people do, they back it seem like a land before time and get it drastically wrong. 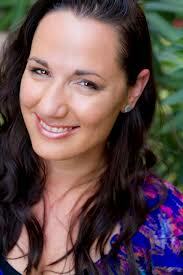 Thank you for answering our questions Jennifer, is there anything else you'd like to add?